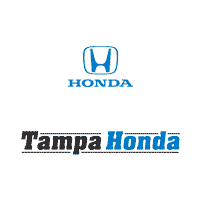 The benefits of buying from Tampa Honda don’t stop when you drive off our lot. We want to help you keep your vehicle in tip top shape, and we have a special program here in the Tampa Bay area to help you do just that. As part of our unique buying experience and in appreciation for your business, you will automatically become a member of The 24 Club when you purchase a new Honda in Tampa or pre-owned vehicle from us. The 24 Club offers you a maintenance package for 24 months or 24k miles from the time you purchase your vehicle in the Tampa area, whichever comes first. The 24 Club Maintenance Package covers all Honda in Tampa recommended maintenance services. These services include oil changes, tire rotations, and multi-point inspections, among other services. 1. Most manufacturers recommend service every 6,000 miles or 6 months, whichever comes first. Vehicles serviced based solely on time will receive up to 4 services under the Maintenance Plan.2. Excludes those items listed in the Maintenance Guide under Special Operating Conditions Covers normal factory scheduled service. Consult your vehicle’s Maintenance Guide for factory recommended services and intervals. Plan is 2 years or 24,000 miles, whichever comes first and is a $250 value. The new vehicle cannot be part of a rental or commercial fleet or a livery/taxi vehicle.